Joining up the #Plutus Foundation awards for Intelligent Blogging, it was time for TEAM #ADMP to pause and reflect on our incredible journey, leading us to Texas, USA, as an official panel member ! The #Plutus awards have only one aim -> Rewards and celebrate, the best in personal finance! – However, as ‘ferocious’ ADMPers, we still had to deal with the small matter of finding an incubator or a Super-Incubator for the continent, and who knows, maybe for the planet? #ADMP is a ‘virtual Incubator’, which means we incubate StartUps and Boost Tech Entrepreneurs via FaceBook and other Social Medias networks, it’s simple!… Let us not be afraid of words or sometimes, ‘Digital neologism’ from ‘outer space’, for we are limited only by technology, not ideas..and in this current booming digital climate, BOTH seem to be boundless anyway! Low and behold, it rested then on literally, one digital Super-Heroe, from Ivory-Coast, named SMART CREATOR, to explain how they would go about building or enabling that Super-Incubator for GOOD! It would take the shape of an international exhibition for Incubators, the SIISNA! Is this, Yet another bright idea from #Tech225? Or could it be something between a StartUp and a Spaceship, probably?.. 1. ADMPAwards: hello Sir DEGAN! Can you introduce yourself AND tell us a little bit more about your Digital experience? Hello, I am Mr. Arnaud Aubin DEGAN, I am the President of SMARTCREATOR.COM, Founding President of the International Exhibition of Incubators and Digital Startups of Africa. After my diploma, the “Baccalaureate C-series”, I graduated in Information technology and networks or ‘telecommunications and networks’, where I developed my love for the digital environment. . But the passion that has always inspired me is to set up and manage companies and organizational structures, which has prompted me to study in project management and organizations; I am PROUD to say that my master- word has Always been to be self-taught. In the end, that gruelling training is allowing me today, to be able to quantify and develop my own various projects. I have been a manager able to link-up different boxes and structures as well as programs operating in the field of Information technology. I carry on devoting myself to the promotion of the digital Eco-system, through social entrepreneurship and others projects: In one word, I am a Digital Busy man! In this SIISNA project, we signed a collaboration contract with a multidimensional communication agency called OVERCOM. As you may know, you often have to do skill pooling, which gives us the opportunity to push our concepts, further. 2. ADMPawards: We found out that your event SIISNA, has potential to get a lot of traction on the continent (and the LIKES! ), what was your initial motivation, please? Entrepreneurship is defined as an activity involving the discovery, evaluation and exploitation of opportunity in order to introduce new goods and services, new organizational structures, new markets that do not exist before. From this point of view, entrepreneurship, as you can imagine, is the key to the economic development of any great nation as a creator of wealth for the well-being of the people. 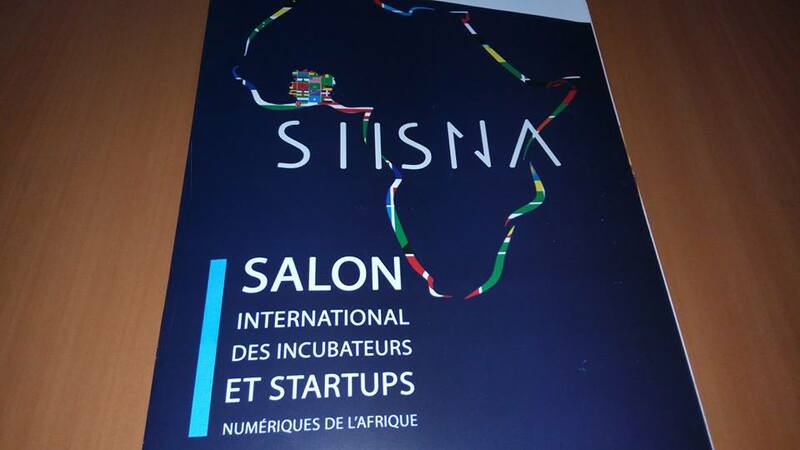 The International Trade Fair for Incubators and Digital Startups in Africa, abbreviated to SIISNA, responds to a specific need, to prepare the cream of a new generation of entrepreneurs in the digital field. Through this fair, we aim to create a platform for the exchange of the various actors of entrepreneurship around the digital world. The Digital Revolution is the fourth industrial revolution, and Africa must be a player ! —> It has to prepare its youth to those challenges! Therefore, we are thinking about putting the right conditions for young startups and young people to get together around the actors of investment, incubation and capital so that they can be taken in hand to meet the challenges of their time. 3. ADMPawards: How can SIISNA impact the African startup and Incubator Eco-system on the AfrO’ Continent?? – Offer investors from around the world and from Africa the opportunity to identify the potential of this continent through startups and the digital economy. – Strengthen the synergy of actions to contribute together to the social, economic, environmental and cultural development of the country. 4. ADMPawards: Do not hesitate to comment below on what you think of his answers !! 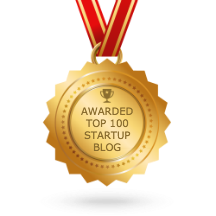 – How as a startuper, can I participate to your event? How many startUps and incubators can you host over a SIISNA event ?? Are you targeting particular startups or industries? SIISNA is mainly aimed at startups in the field of digital technology. Our main objective, is to meet the challenges of the fourth major economic revolution! —> This will not happen, if we do not manage to create the Innovative startups, to solve our problem, First! A GROWTH in Startup creation is paramount! For this edition, we expect close to 100 digital startups and nearly 50 incubators of all specializations and fields. Nevertheless, we will also be pleased to welcome well-established technology companies to guide and mentor the ‘up and coming’ ones. This show, is also a springboard for startups wishing to increase their brand visibility. 5. ADMPawards: Do you have any partners involved with your event? The first edition of SIISNA, will be graced with the sponsorship of Minister Bruno N. KONE, Minister of Communication, Digital Economy and Post of the Republic of Cote d’Ivoire, but also the Digital Youth Foundation as a partner, the Frenchtech, and many other top players from the technology world. We are well-connected! Sorry…I would like to add the support of the International Organization of la Francophonie, and the unflinching BOOST from the Jacobs foundation. For this edition, we have BENIN, the country as guest-of-honour, too and they are coming with a strong team! Watch out for Team Benin! 6. How would you work with ADMP? And How did you get to know about us? Today no one can work without having a good and solid network around you. ADMP has a tremendous network that has established itself around the world as a technological watcher of great influence, which enabled us to identify it as a partner of choice for this event. We needed someone, or a platform who could spread our word into the tech community! And …although, very few are aware of it, ADMP is the largest virtual incubator in Africa and internationally! Probably proving that you do not need walls to build an incubator! And as the saying goes, to be the best, we must surround ourselves with the best! 7. ADMPawards: #InterrestinG! :)) – Back to reality: Incubators in Africa often seem to work in isolation, in their own little corner: What is your message to some of them?? We invite all those involved in incubator to grab this opportunity as if it was the last one: Just Grab this opportunity, share experiences and exchange ideas with your peers! The Incubator is the best University, it is the University of LIFE! Because of the novelty of the terminology, many confusions are sometimes created. And that is the reason why the Incubator is still the best place to answer those questions and then to act quickly upon those questions, for a better and upward growth! 8. ADMPawards: A good agile managers has sprints and targets —> What are your targets? Milestones? Our main targets are startups, project promoters, and digital companies, but also incubators, investors of all kinds who believe in the future of Africa and the digital economy as potential for economic development. 9. ADMPawards: ADMP believes that failure is just information, maybe overpriced, but Failure, is just Data! Do you have one last words for ADMPers, from SIISNA? We invite all actors in the digital entrepreneurial ecosystem to join SIISNA! To help GROW the startup Eco-system! But also to participate in the building of a stronger Africa! We can create winning digital startups, to meet the challenges of unemployment and economic growth! Many Thanks, you’re far too kind. The International Trade Fair for Incubators and Digital Startups in Africa is very interesting for #Incubators in Africa. That is a true challenge!!! #DigitalInception:A set of Agile Digital Processes enabling the fast-spread of a message or a concept in order to transform reality and measure it via analytics; At the Beginning was the BLOG! !